I'm not going to write about the music again, you can read yesterday's review of this same 7" for that. When I purchased the regular version of this record, I also won a copy of the test pressing. I was pretty psyched, I never really win anything, so that was neat. Brassneck made a special sleeve and they're hand numbered out of ten copies. 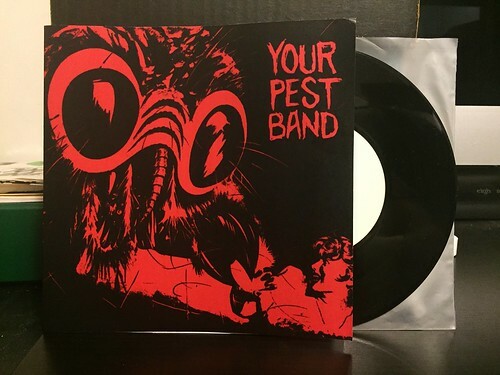 Your Pest Band - Never Fall You Again 7"
The Yolks - Don't Cry Anymore 7"